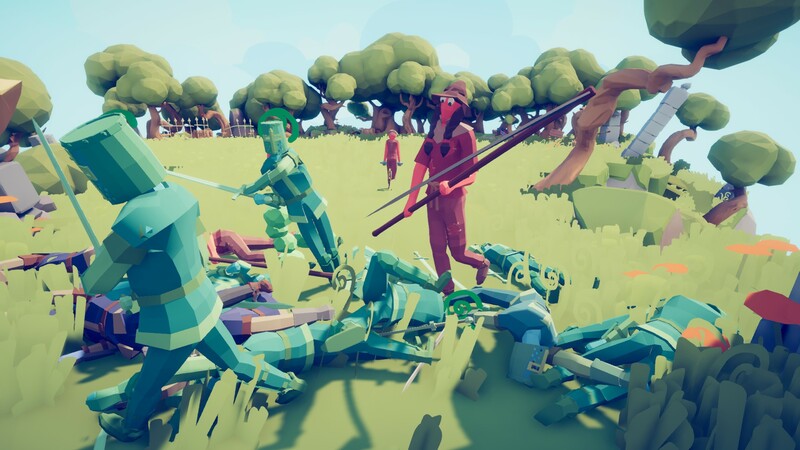 Totally Accurate Battle Simulator allows you to indulge your wildest 'Who would win in a battle between…' scenarios. Want to know who would win in a battle between medieval knights and Greek hoplites? TABS has got you covered. 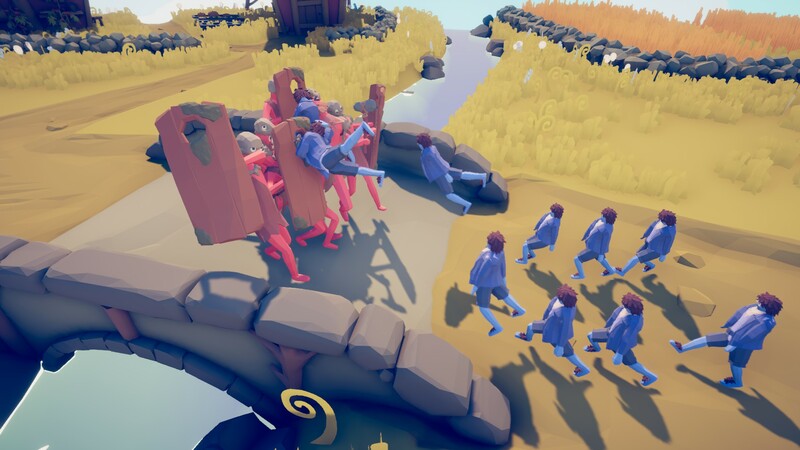 Want to pit a horde of cavemen against a few plucky Vikings? No problem! Thirty hobbits versus one mammoth? Weird, but okay. There is one caveat, however. 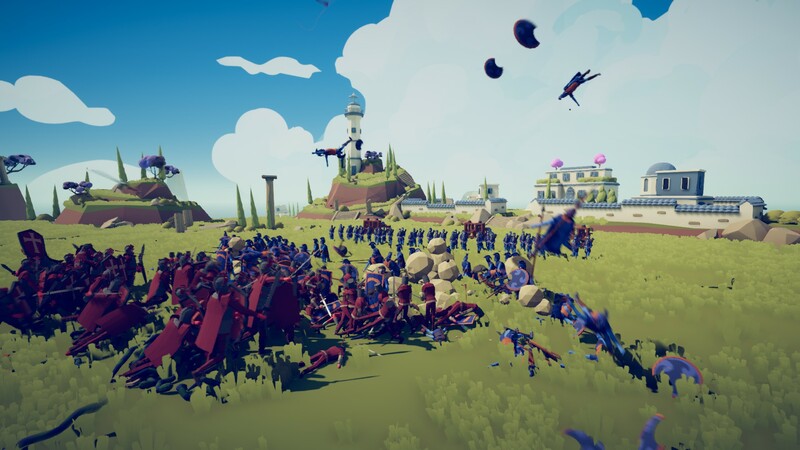 Totally Accurate Battle Simulator assumes the default position that every belligerent in the conflict is drunk, staggering around and swiping at one another like middle-aged accounts managers in a pub car park. While that may sound somewhat counter to the premise, in practice it works perfectly, as that’s the exact state most of these intellectual grudge-match exercises usually arise from. The game itself plays like weaponised dominoes, in that your main interaction with it happens during setup. Each scenario is primed by selecting units from a pool and placing them on the battlefield by pointing and clicking with the mouse. The rules for this are slightly different depending on whether you’re playing in sandbox mode or campaign mode, but for now let’s assume we’re working with the sandbox rules of anything goes. There’s no limit on how many units you can place on the map, or on mixing units from different historical (sometimes mythological) eras. 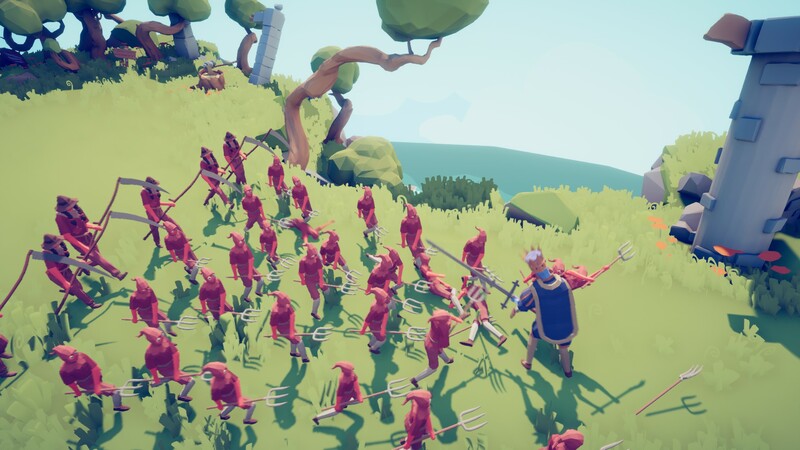 Want to recruit an army of pitchfork-wielding farmers supported by Valkyries and led by Zeus? Totally Accurate Battle Simulator is down with that. Once you’ve placed all your desired units, you sit back, click play, and watch the madness unfold. All of TABS’ units are procedurally animated, moving and fighting as if they have rubber skeletons. And it’s this deliberately elastic physics engine, more than the actual premise of the game, that makes TABS so much fun to play. Almost every battle includes at least one incident that will make you honk with laughter. Whether it’s seeing a Viking berserker catch a spear with his face, or watching as a cluster of hoplites are scattered like skittles by a boulder thrown by a catapult. I particularly like the Greek ballistae, which are so powerful that they will instantly whip an opponent entirely off screen, like a cartoon character vanishing in a cloud of dust. Other features like the ability to activate slow-motion aren’t strictly designed for humorous purposes but add to it regardless. Oh, also, all the units have ridiculous googly-eyes, which turn into little black crosses when they are killed. I’d love to see the designers dig deeper into this cartoon element, perhaps adding a few similarly inspired effects or noises. Pitting random groups of warriors together is obviously enjoyable, but the novelty of mucking around does eventually wear off. Fortunately, the game has a sizeable campaign that tasks you with defeating specific groupings of enemies using a limited budget. Split into three stages, the initial chapter is geared toward introducing you to the basic roster of units, while the later stages provide more specific challenges, such as defeating an enemy force with just one unit. The campaign mode isn’t particularly challenging, but there is a slight element of strategy to the proceedings. It’s important to examine how the opposing army is composed and field units that can effectively counter their forces. If their army is largely composed of archers, for example, then fielding lots of shielded units will help you defend against their projectiles. What’s more, although you can’t control your army directly, effective positioning of your units can affect the outcome of a battle almost as much as the type of units you field. If the opposing force is split into two clear groups, it’s wise for you to do the same, so that all your forces don’t pile into one group and end up outflanked by the other. TABS’ main issues come down to its Early Access state. There are quite a lot of unit-types still missing from the current version, such as Japanese samurai and early-modern forces, while the UI is mostly placeholder. Furthermore, from a performance perspective the game can currently only handle small and medium-sized battles. If you create a custom scenario with a large number of units, the resulting physics bombardment will crush your CPU like a cow sitting on a cake. I don’t know how fixable a problem that is, because there will inevitably be an upper limit on how many units you can reasonably field, but I hope the developers can up that limit considerably, because just pouring a load of units onto the map and watching them go at each other is wonderful, chaotic fun. 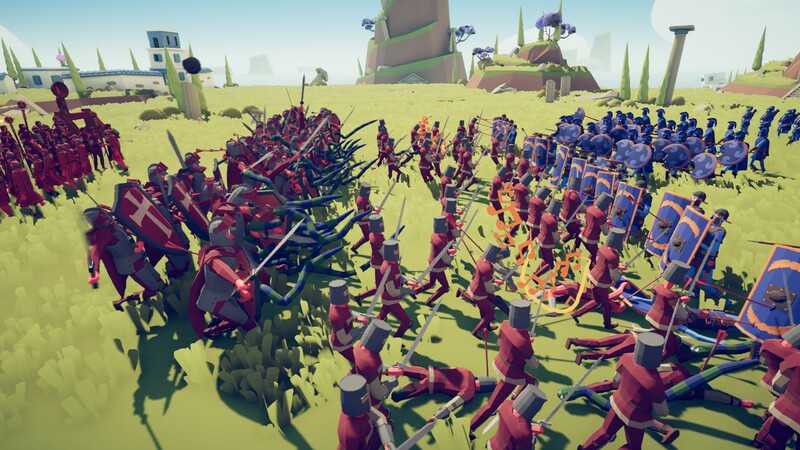 More generally, I’m not sure how much longevity Totally Accurate Battle Simulator will have. I’ve only played it for a handful of hours and seen pretty much everything it currently has to offer. More missions and more units will obviously help remedy this, but there are other ways you could potentially expand on the mechanic, such as enabling three-way battles, or even a multiplayer mode. The final version will have a unit creator, which could be key. To keep players involved, the game needs a wide variety of units, so giving the community the power to create their own seems like a wise move. Then again, perhaps it’s okay for Totally Accurate Battle Simulator to be a little bit disposable. Not every game has to last thirty hours. In fact, I wish there were more games designed specifically around jumping in for ten minutes, having a bit of a laugh, and then moving on to doing something else. 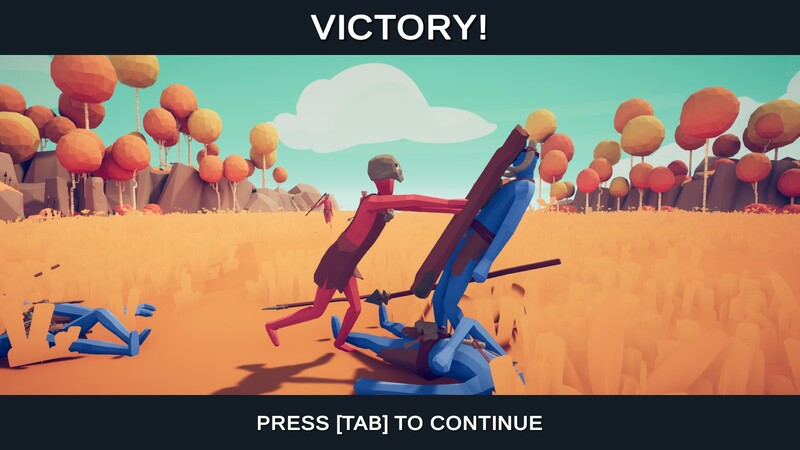 Totally Accurate Battle Simulator is perfect for that. It’s pointless, harmless, ridiculous fun. Looks to improve consumer confidence. Steam is further warning its users that Early Access titles might never see completion and could be abandoned before a full release.